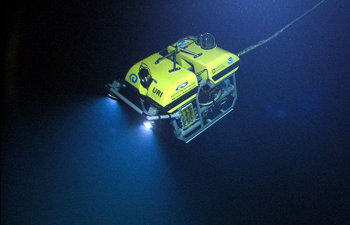 This expedition education module focuses on the Chile Margin 2012 Expedition, NOAA-OER. A summary of why scientists and educators are interested in exploring this area and what we might learn from our efforts in this region as we strive to further understand the 95% of our planet that is virtually unexplored. Interactive multimedia presentations and Learning Activities on Plate Tectonics, Mid-Ocean Ridges, Subduction Zones, and Chemosynthesis and Hydrothermal Vent Life. Ocean Careers to Inspire Another Generation of Explorers, or OceanAGE Careers, invites students to learn about the talented people who explore our ocean planet. A list of other resources and links related to this expedition for you to explore.